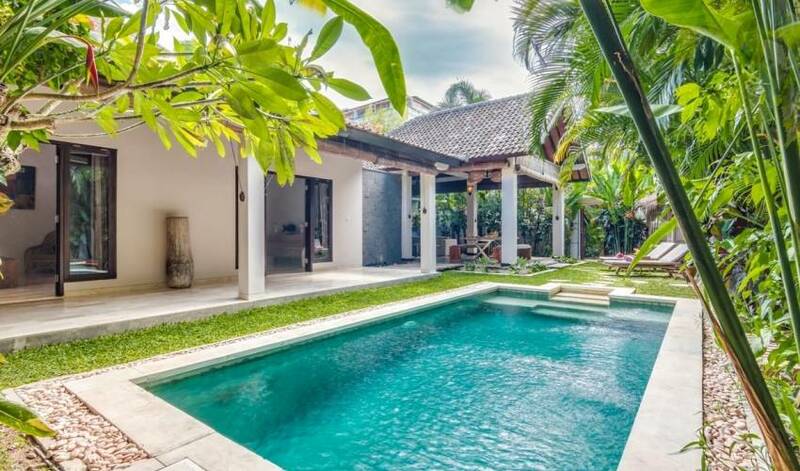 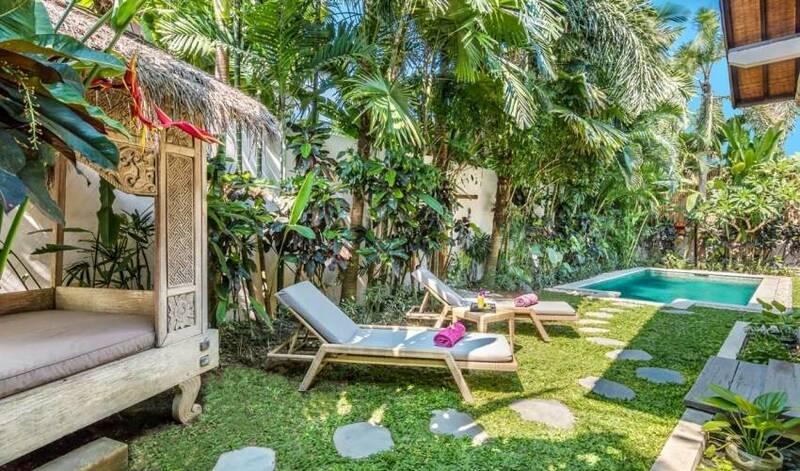 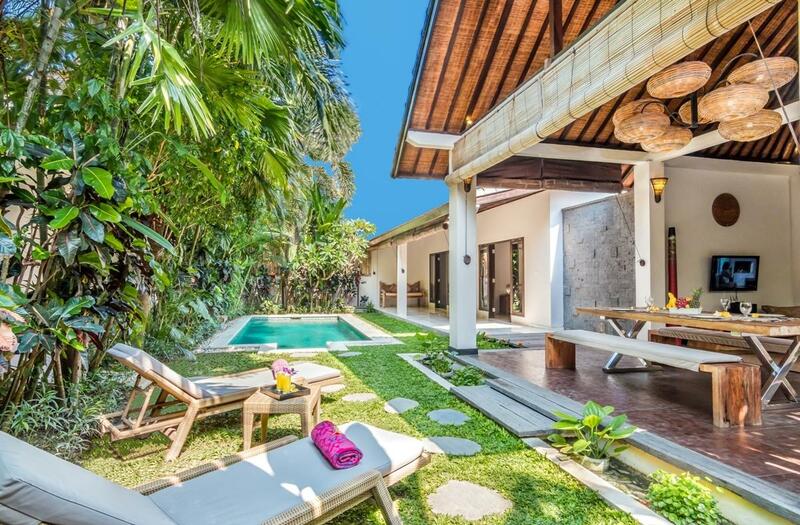 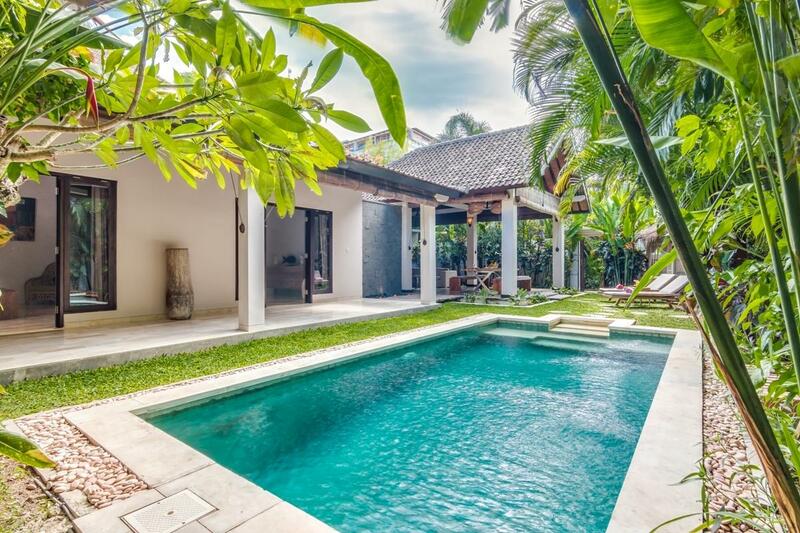 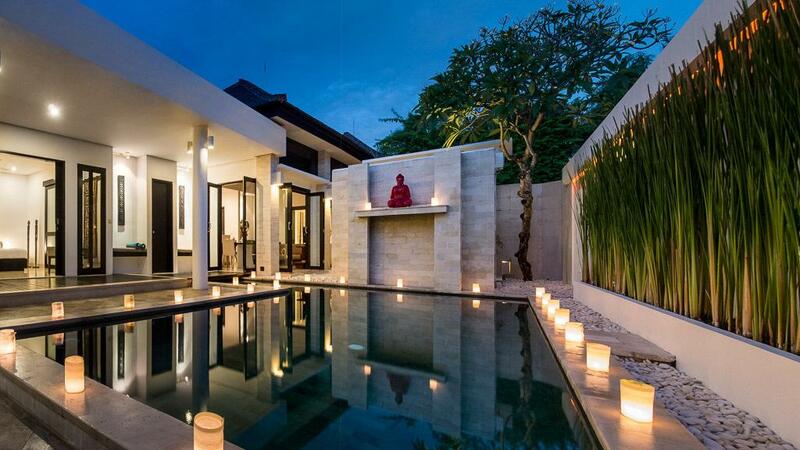 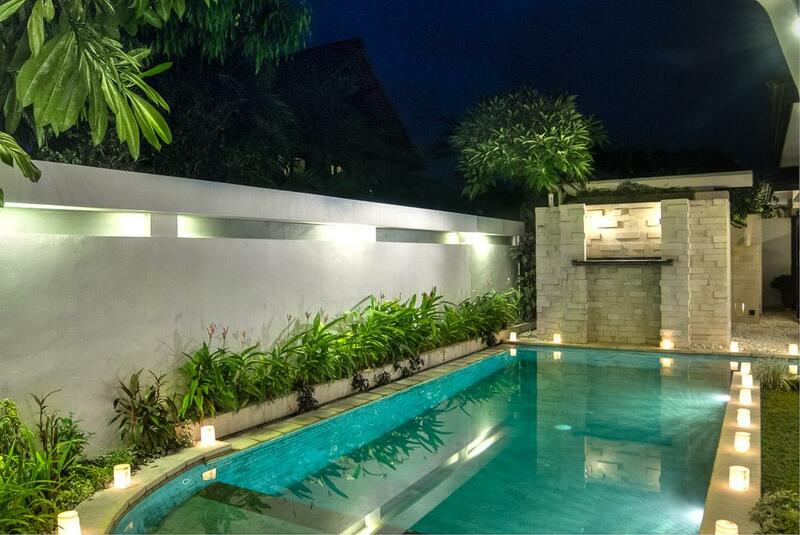 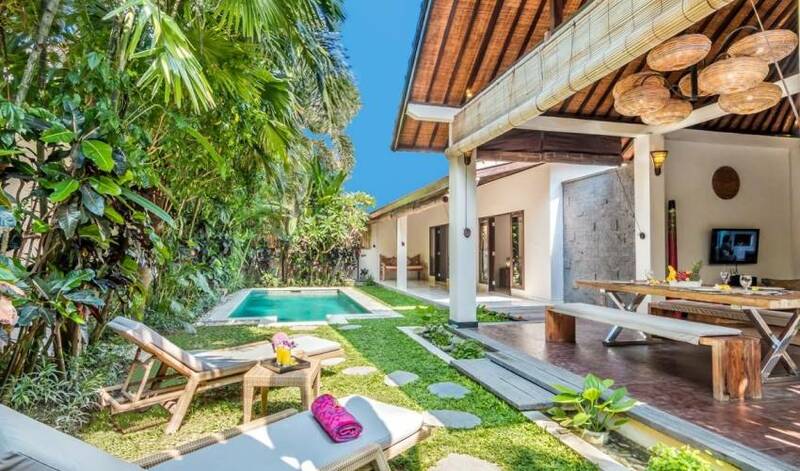 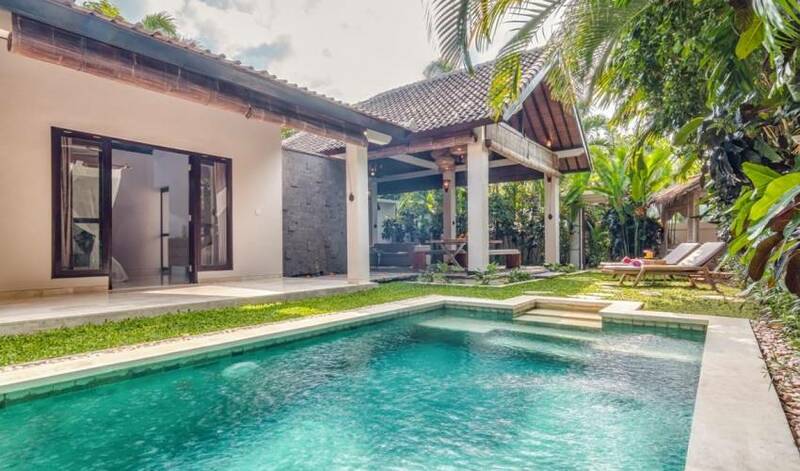 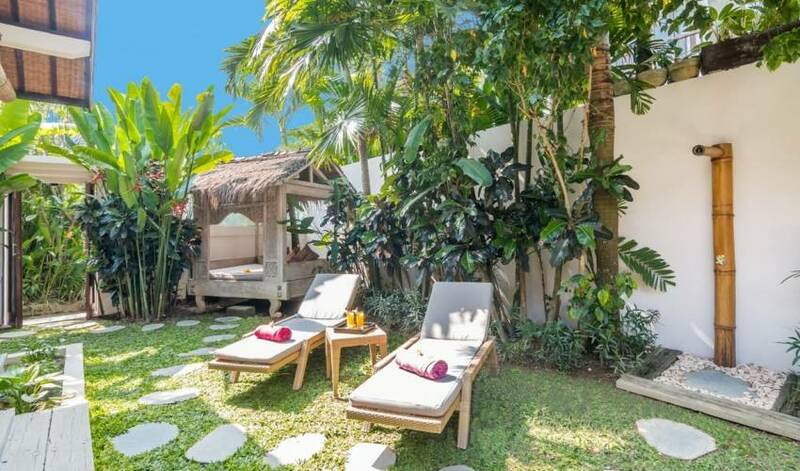 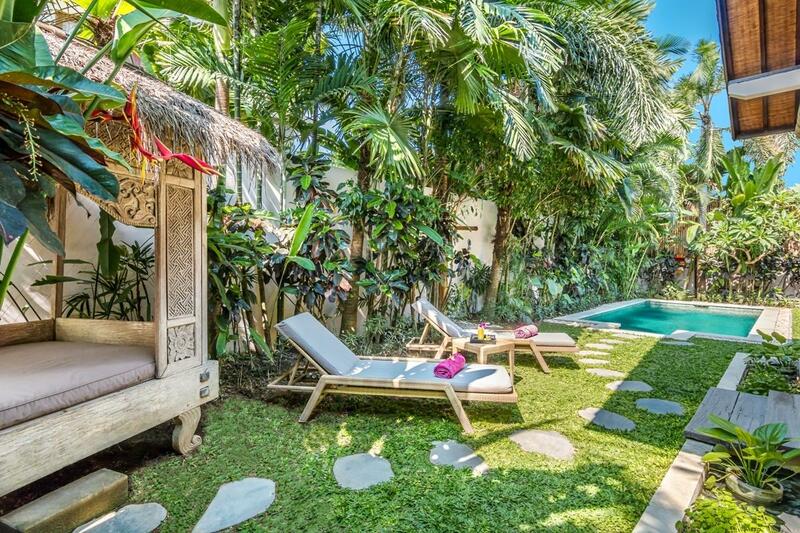 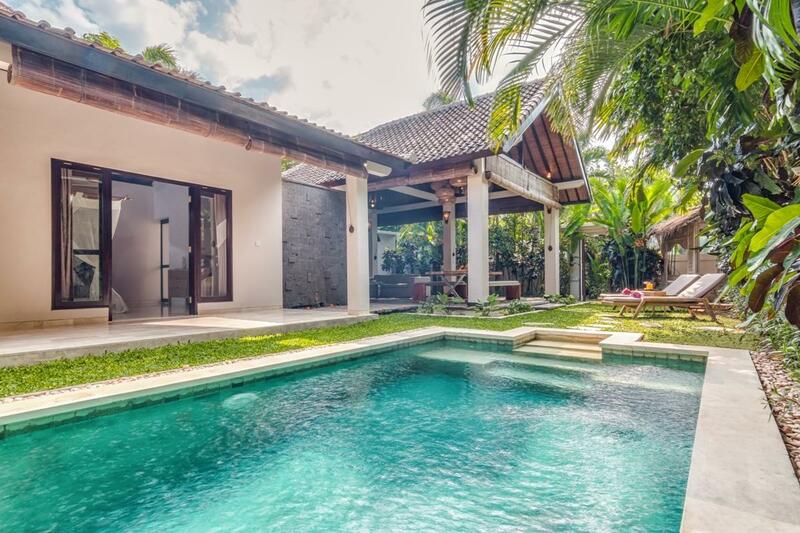 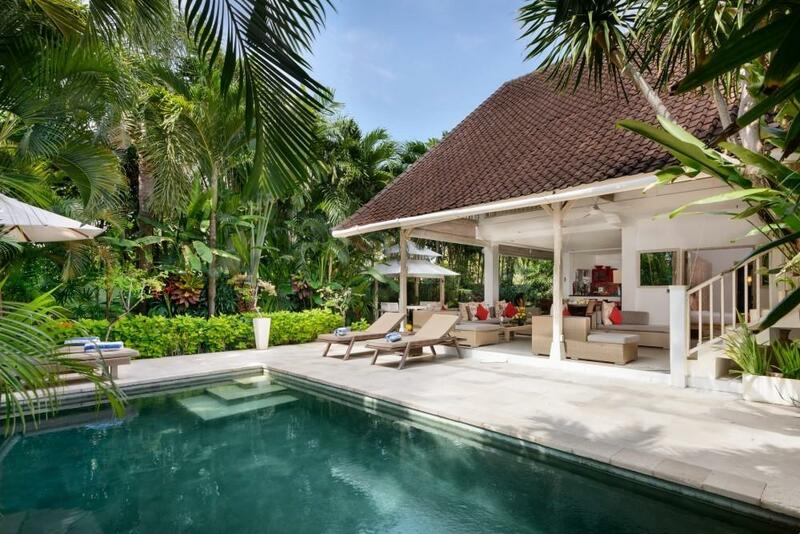 Set amidst a lush tropical garden in Petitenget area, Villa 3448 is only few minutes walk to the white sandy Petitenget Beach & some of Bali’s best restaurants and clubs ie The Living Room, Sarong, Metis, Potato Head & Hu/’u Bar. 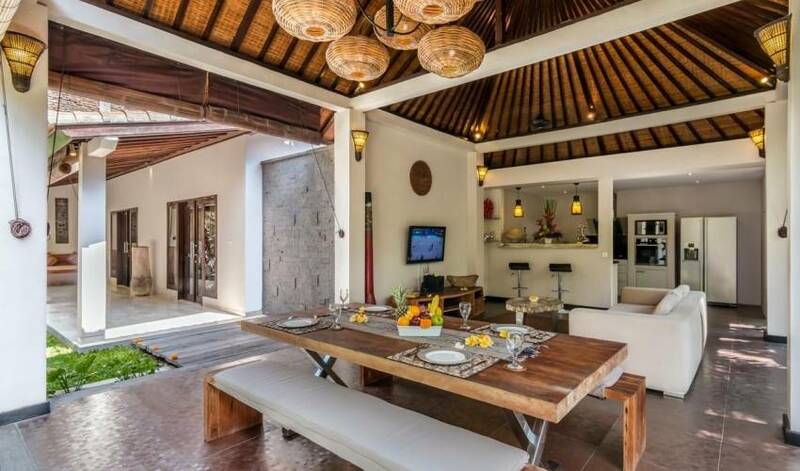 The appreciation of local tradition & nature is reflected throughout the whole villa, starting from its modern Balinese design architecture , use of high quality teakwood for all furniture to the choice of villa’s decorative elements . 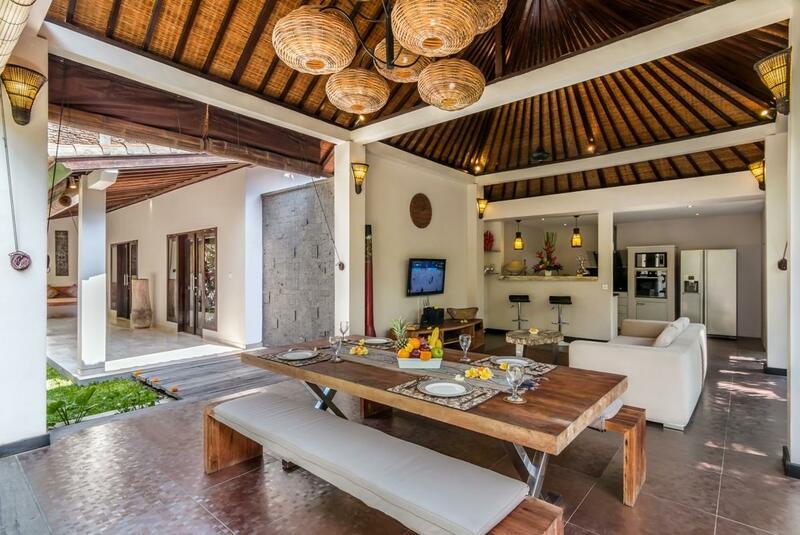 Open spaces, the abundance of natural light & tropical breeze, creating a relaxed & soothing ambiance. 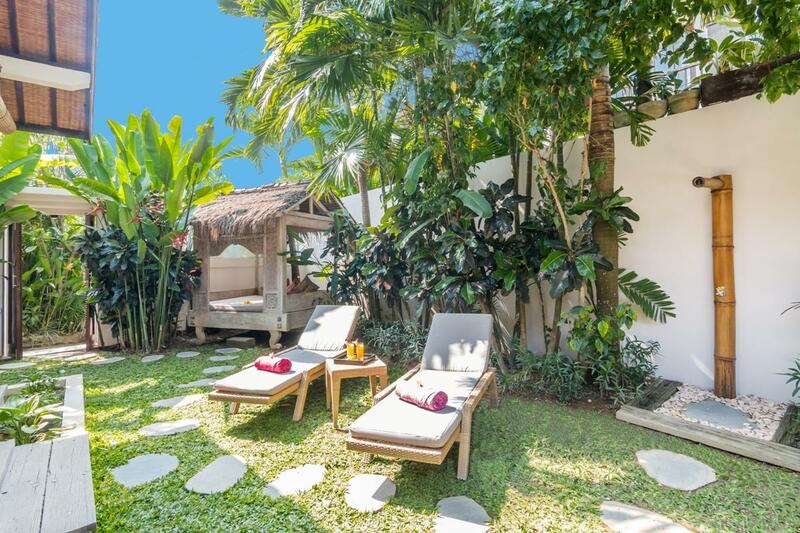 Villa 3448 is private Villa for rent Petitenget 2 bedrooms. 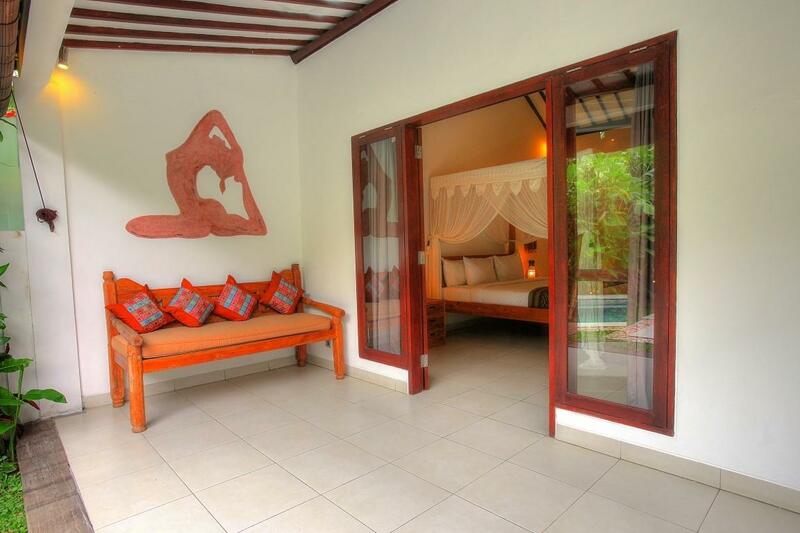 Villa 3448is beautifully decorated with wall paintings by an Italian artist – Krina Flower. 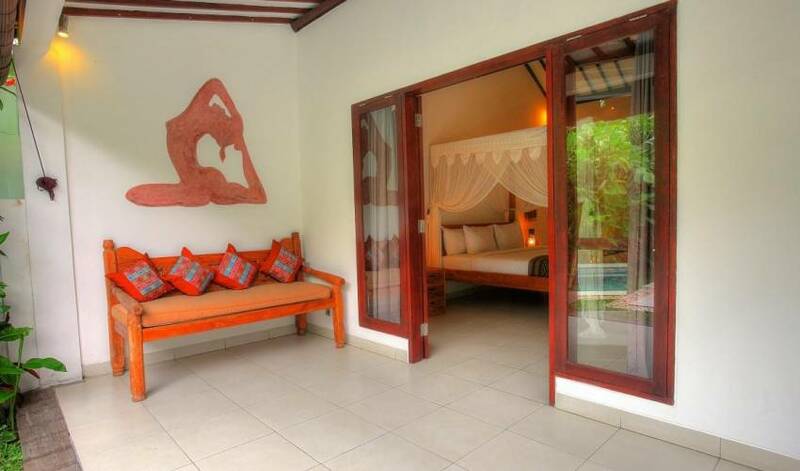 Using murale technique with wall functions as canvas, the painting gives the soul to this holiday home.